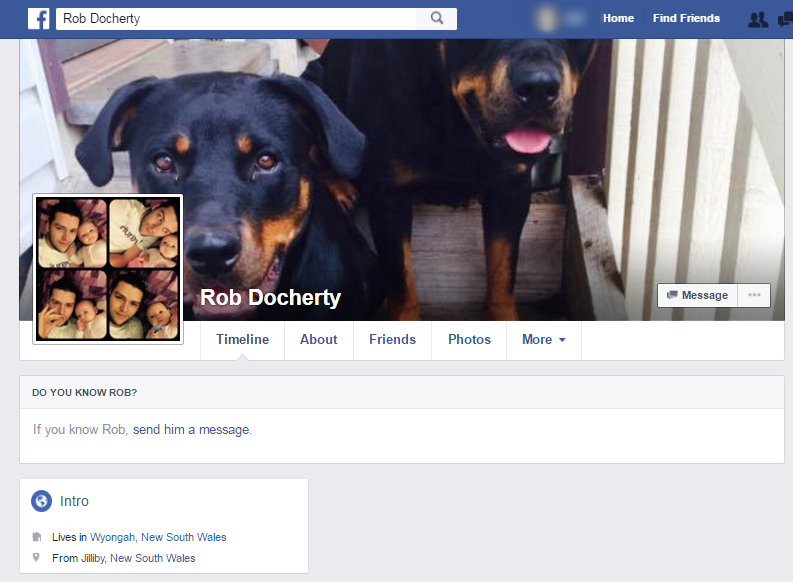 Stop by Rob’s Facebook profile and let him know how you feel about this. 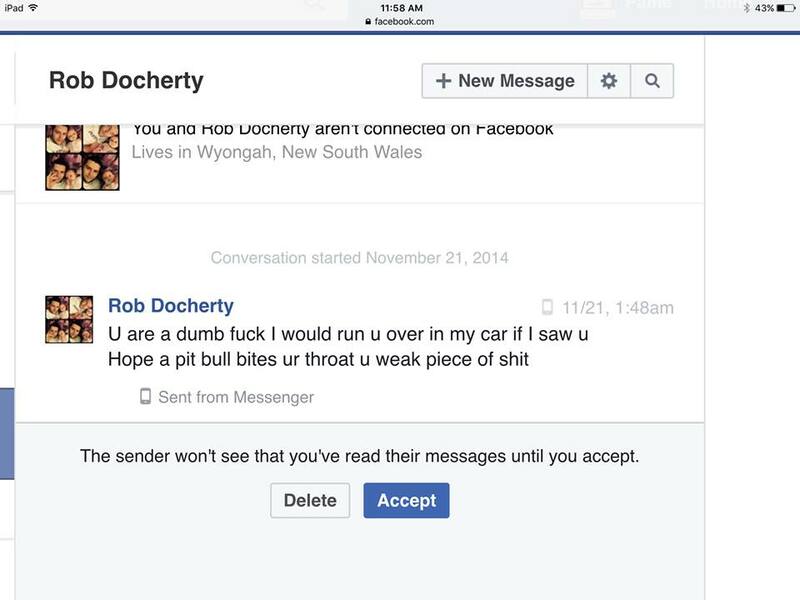 This entry was posted in hate mail and tagged Hateful messages to pit bull attack victims, New South Wales, Rob Docherty, Wyongah. Bookmark the permalink.